Working at Business in the Community is challenging, exciting and very rewarding. We invest heavily in the development of our people and in their health and wellbeing. Employees at every level have a voice and we encourage them to make it heard – whether it be through suggesting ideas for new ways to work or providing input on our new strategy. In this section we will post current vacancies, secondment opportunities and volunteer placements.We want people whose personal values align with our own and who want to make a positive difference to the world they live in. If that sounds like you, please get in touch. 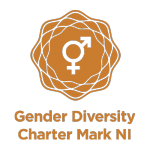 Business in the Community has the following exciting opportunity and invites applications for the following exciting new post based in Belfast. 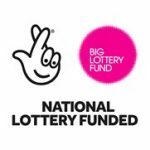 Project Manager, Age at Work (funded by the National Lottery Community Fund). Age NI and Business in the Community have formed a partnership to challenge and support older workers and employers to address an ageing workforce as a key workplace issue. The Project Manager will support older workers and employers to tackle these issues through the Age at Work campaign, to challenge and support members to address an ageing workforce as a key workplace issue. Under the key areas of recruitment, retraining and retention, Age at Work will support older workers to remain in work or return to work in order to help them have enough income, stay connected, and have a fuller working life. If you think you have the stamina, enthusiasm, and strategic foresight to make this role your own, we want to hear from you.